Readers who want to understand the causal link between mortgages and the financial crisis will find it revealed in Black Box. There's been no shortgage of new books the past several years on the topic of financial crisis caustion. However, until now all have failed to connect the dots from the housing boom that began in the mid-1990s to the crash of 2008. 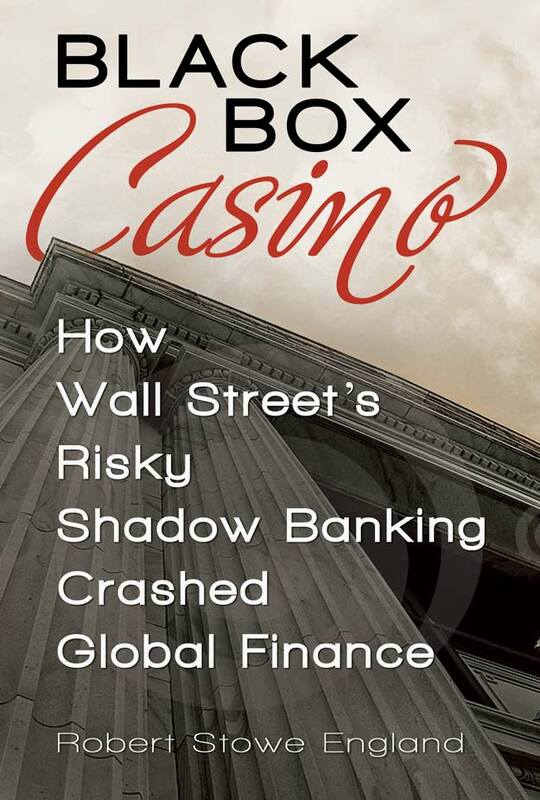 Robert Stowe England, a senior writer for Mortgage Banking magazine, connects more dots than most in his new book, Black Box Casino: How Wall Street's Risky Shadow Banking Crashed Global Finance. Gretchen Morgenson and Joshua Rosner's Reckless Endangerment (2011) took readers deeper into the central role that Fannie Mae played in the financial crash than did Michael Lewis (The Big Short), Bethany McClean and Joe Nocera (All the Devils Are Here), Raghuram Rajan (Fault Lines), Barry Ritholtz (Bailout Nation), Joseph Stiglitz (Freefall) and others. Black Box begins with mortgages in the first chapter, "The Mortgage Meltdown." It traces the events of 2007--nearly all tied to mortgages in one fashion or other--which led to the mortgage-performance panic late that year. With this as a backdrop, England backtracks into chapter 3, "Seeds of the Disaster." Here he begins with the Federal Housing Enterprises Financial Safety and Soundness Act of 1992, the new "housing mission" assigned the twosome, and the coalition brought together three years later by the National Homeownership Strategy of 1995. Within two years, both GSEs offer 97 percent loan-to-value (LTV) ratios, and, in 2000, both introduce infinite leverage lending, or 100 percent LTVs. The race to the bottom in terms of credit quality had begun. "In time, these [affordable-housing] goals would . . . lead Fannie and Freddie to build up a mountain of risky loans that remained mostly hidden from view," England presciently reports. The book's middle chapters examine the deterioration of mortgage credit from the 1990s forward, the advent and growth of the private-label securities (PLS) market; Wall Street's evolution to subprime collateralized debt obligations (CDOs) and a close look at the structure, risk elements and composition of the CDO. Chapters 8-11 look at conditions inside AIG, Bear Stearns, Fannie and Freddie, and Lehman, respectively. Each firm plays a major role and has a storyline in the crisis of 2008. For example, AIG took on the risk of insuring the CDO buyers against loss. England explains the business of each of the five firms, including their products, operations, growth, risk-taking and managements. He explains how each managed to slip under the regulatory radar. AIG Financial Products, for instance, fell under the jurisdiction of the Office of Thrift Supervision (OTS); Bear managed to accumulated $35 billion of unwanted mortgage assets; Fannie and Freddie dodged several attempts to rein them in legislatively; and Lehman, unable to find a rescuer, filed for bankruptcy with $60 billion of illiquid assets, mostly mortgage-related. Thus mortgages were at the center, the core, the heart of the problem -- namely, too many ill-performing loans. Black Box's final chapter, "The Panic of 2008," provides a day-to-day chronology of the events of September-October 2008: stock market swoons, runs on banks, soaring spreads, credit freeze-ups and bankruptcies. England concludes with a brief assessment of the toll the mania, panic and crash inflicted on America and countless Americans. 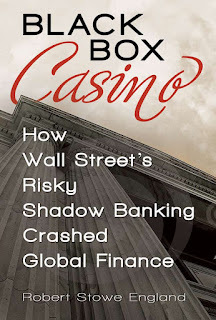 Readers who want to understand the causal link between mortgages and the financial crisis -- and who want to connect the next dots after Morgenson and Rosner's establishment of Fannie Mae's central role in the Great Recession -- will find it revealed in Block Box. Note: Tom LaMalfa is a 34-year veteran of mortgage market research. His focus in recent years has been on federal housing policy. He is president of TSL Consulting in Cleveland Heights, Ohio. He can be reached at tom.lamalfa@gmail.com. Josh Gotbaum talked about the Pension Benefit Guaranty Corporation, what it does, how it operates, and the importance of pensions. During his remarks he said that Americans are not saving enough and suggested that people should save 10 percent of their annual salary in order to maintain their lifestyle in retirement. He stressed retirement security and the need for flexibility to design 21st-century pension options that better fit modern employers and workers. He also talked about American Airlines, which filed for for bankruptcy in late 2011 and considered termination of all employee pension plans .